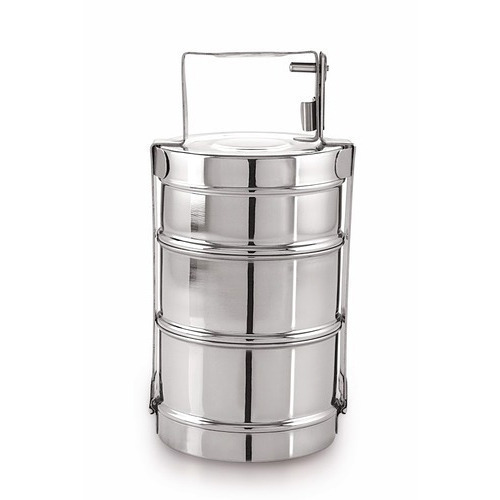 Established in the year 2004, at Mumbai (Maharashtra, India), We, Miinox Wares are recognized as the renowned manufacturer, exporter, trader and supplier of superior quality New Items, Steel Trays, Stainless Steel Spoons, Commercial Kitchen Equipments, Stainless Steel Cups, Stainless Steel Dishes, Stainless Steel Glass, Stainless Steel Kitchenwares, Stainless Steel Bowls, Stainless Steel Bar & Accessories, Kitchen Accessories, Stainless Steel Ashtrays, Food Storage Utensils, etc. These are precisely designed and developed using the finest quality raw material, which is procured from some of the trustworthy and certified vendors of the industry. Our offered assortment is manufactured by our skilled professionals in our sophisticated manufacturing unit in compliance with the set international quality standards. The offered products are extremely valued by our esteemed clients for their excellent quality, reliability and durability. These products are stringently tested on various parameters of quality under the supervision of our skilled professionals to ensure flawlessness. WE ARE LOOKING INQUIRY FOR EXPORT ONLY. We are an audit compliant state-of-the-art factory having sizeable production capacities and capabilities located close to the Nhava Sheva Port in Mumbai, India. We are one of the leading factory in India with area measuring over 19,000 Sq mtrs. wherein all manufacturing processes are carried out under one roof. We use most sophisticated technology is along with thorough quality control at every stage from production till packaging. We have an in house R&D team which takes care of designs and new product developments which we are able to showcase in different Trade Shows around the world. Our very friendly management team's dedication helps us in accomplishing time based promotional orders and are very easy to deal with. We have been exporting to global markets like USA, UK, Spain, Italy, France, Germany, Romania, Israel, South Africa, Australia and Far East.